Die lig van Tippecanoe Court House van Amtrak spoorweg stasie. Lafayette, Indiana, 10 Maart 1998. Shiko të Tippecanoe gjykatën nga Amtrak hekurudhor Station. Lafayette, Indiana, 10 mars 1998. نظرا لتبيكانو كورتهاوس من محطة السكك الحديدية امتراك. لافاييت بولاية انديانا ، 10 مارس 1998. Դիտել Tippecanoe Courthouse - ից Amtrak երկաթուղու կայարանը. Lafayette, Ինդիանա, Մարտ 10, 1998 թ. View Tippecanoe və Amtrak dəmir yolu stansiyasından divanxana. Lafayette, İndiana, 10 mart, 1998. View Tippecanoe de Amtrak trenbidearen geltokitik courthouse. Lafayette, Indiana, martxoaren 10a, 1998. Выгляд з будынка суда Типпекано чыгуначны вакзал. Лафайетт, штат Індыяна, 10 сакавіка 1998 года. Tippecanoe দৃশ্য Amtrak রেলপথ স্টেশন থেকে বিচারালয়. Lafayette, ইন্ডিয়ানা, মার্চ 10, 1998. Преглед на Tippecanoe Съдебната палата от Amtrak жп гара. Лафайет, щата Индиана, 10 март, 1998. Vista de Tippecanoe Palau de Justícia de ferrocarril Estació de tren Amtrak. Lafayette, Indiana, 10 de març de 1998. Pogled na Tippecanoe Sudnica iz Amtrak željezničke stanice. 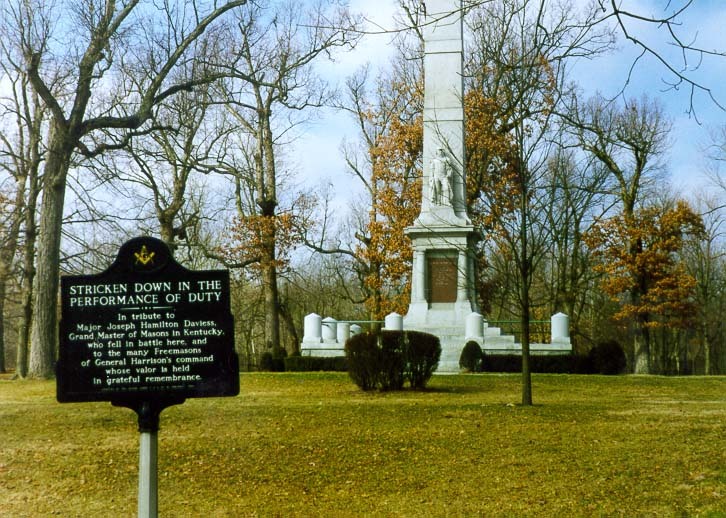 Lafayette, Indiana, 10. ožujka, 1998. Pohled na Tippecanoe soudní budovu od železničního nádraží Amtrak. Lafayette, Indiana 10. března 1998. Udsigt over Tippecanoe Courthouse fra Amtrak togstation. Lafayette, Indiana, 10. marts 1998. Zicht op Tippecanoe gerechtsgebouw uit Amtrak station. Lafayette, Indiana, 10 maart 1998. Vaade Tippecanoe kohtumaja alates Amtrak raudteejaama. Lafayette, Indiana, 10. märts 1998. View ng Tippecanoe Courthouse mula sa Amtrak tren station. Lafayette, Indiana, 10 Marso 1998. Näkymä Tippecanoe oikeustalo alkaen Amtrak rautatieaseman. Lafayette, Indiana 10. maaliskuuta 1998. Vue du Palais de justice de Tippecanoe de chemin de fer Amtrak Station. Lafayette, Indiana 10 Mars 1998. Vista do Palacio de Xustiza de Tippecanoe ferrocarril Estación Amtrak. Lafayette, Indiana, 10 de marzo de 1998.
ხედი Tippecanoe Courthouse საწყისი Amtrak რკინიგზის სადგური. Lafayette, Indiana, 10 მარტი, 1998. Blick Tippecanoe Courthouse von Amtrak Bahnhof. Lafayette, Indiana, 10. März 1998. ટીપનો દૃશ્ય એમટ્રેક રેલરોડ સ્ટેશન Courthouse. લાફાયેટ, ઇન્ડિયાના, 10 માર્ચ, 1998. Προβολή των Tippecanoe Δικαστικό Μέγαρο από Amtrak σιδηροδρομικού σταθμού. 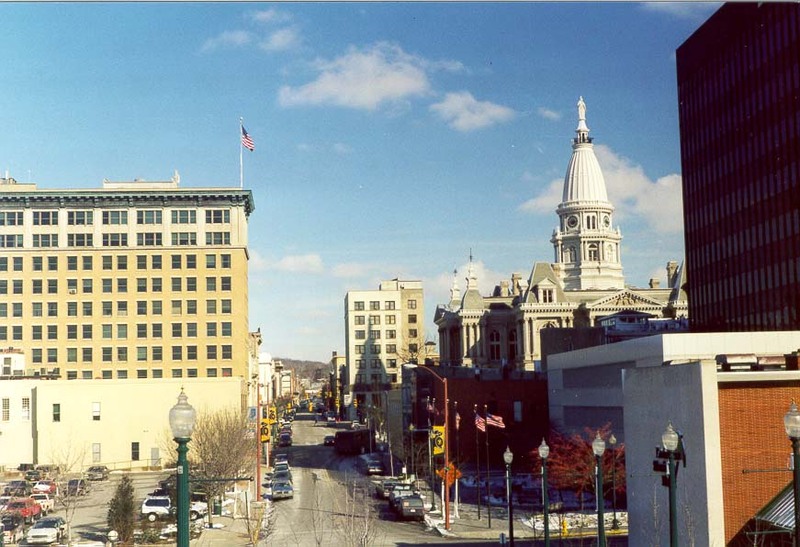 Lafayette, Indiana, 10 Μαρτίου 1998. View nan Tippecanoe Courthouse soti nan Amtrak tren Station. 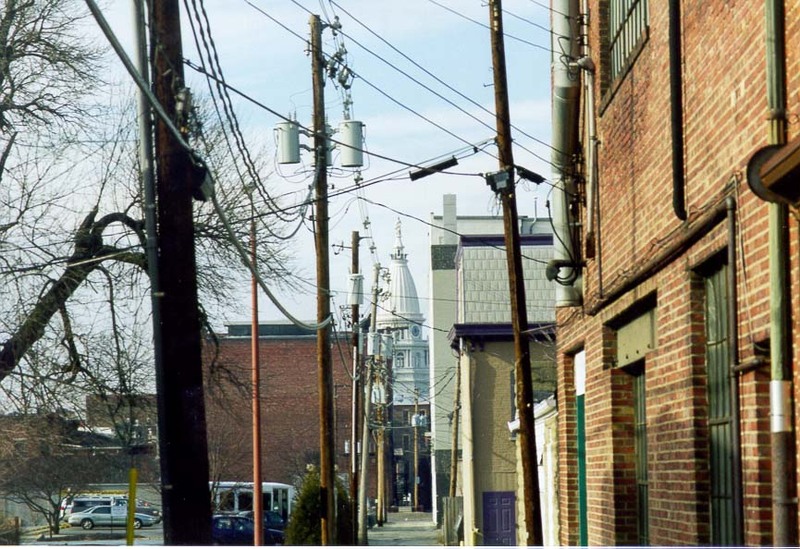 Lafayette, Indiana, 10 Mas, 1998. צפה Tippecanoe של בית המשפט מן אמטרק רכבת תחנה. לאפייט, אינדיאנה, 10 במרס 1998. 'टिप्पेकेनो की Amtrak रेल स्टेशन से कोर्ट देखें. Lafayette, इंडियाना, 10 मार्च, 1998. Nézd meg a Tippecanoe Courthouse a Amtrak vasúti állomás. Lafayette, Indiana, March 10, 1998. Skoða í Tippecanoe Courthouse frá lestarstöð járnbraut Station. Lafayette, Indiana, mars 10, 1998. View of Tippecanoe Courthouse dari kereta api Amtrak Station. Lafayette, Indiana, 10 Maret 1998. Féach ar na Tippecanoe Teach Cúirte ó Stáisiún railroad Amtrak. 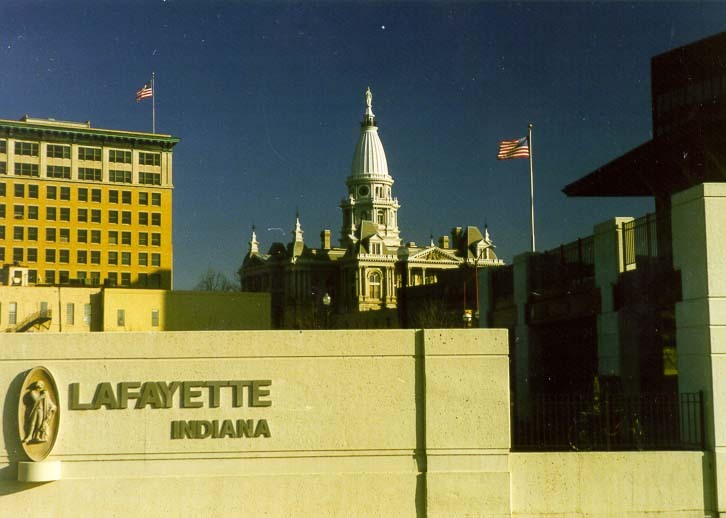 Lafayette, Indiana, Márta 10, 1998. Veduta di Tippecanoe Courthouse da Stazione ferroviaria Amtrak. Lafayette, Indiana, 10 marzo 1998. ಟಿಪ್ಪೆಕೆನೋವ್ ನೋಟ ಆಮ್ಟ್ರ್ಯಾಕ್ ರೈಲು ನಿಲ್ದಾಣದಿಂದ ಕೋರ್ಟಿನ. ಲಫಾಯೆಟ್ಟೆ, ಇಂಡಿಯಾನಾ, ಮಾರ್ಚ್ 10, 1998. 보기 Tippecanoe의 암트랙 철도 역에서 법원. 라파예트, 인디애나 3 월 10 1998. View forum de Tippecanoe Amtrak Station railroad. Lafayette, Indiana, September X, MCMXCVIII. Skats uz Tippecanoe Tiesu namu no Amtrak dzelzceļa stacija. Lafayette, Indiana, Marts 10, 1998. Atsižvelgiant Tippecanoe Courthouse iš Amtrak geležinkelio stoties. 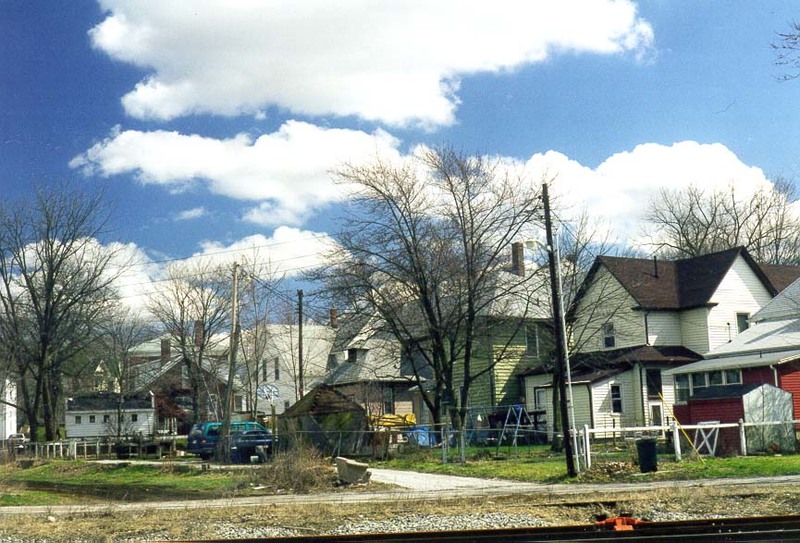 Lafayette, Indiana, 10 kovo 1998. Преглед на Tippecanoe судницата од Amtrak железничка станица. Лафајет, Индијана, 10 март 1998 година. View of Tippecanoe Courthouse dari kereta api Amtrak Station. 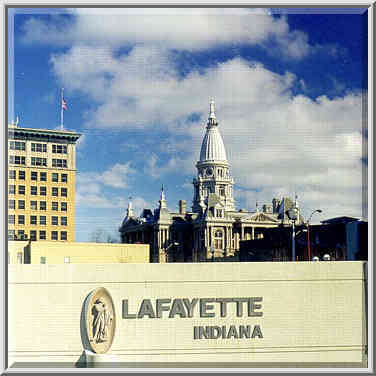 Lafayette, Indiana, 10 Mac 1998. View tal Tippecanoe Courthouse minn vaguni Amtrak Station. Lafayette, Indiana, 10 Mar 1998. Utsikt over Tippecanoe tinghus fra Amtrak jernbanestasjon. Lafayette, Indiana, 10 mars 1998. نمایی از Tippecanoe دادسرای از ایستگاه راه آهن Amtrak. لافایت ، ایندیانا ، 1998 مارس 10. Widok Tippecanoe Courthouse z kolei Amtrak Station. Lafayette, Indiana, 10 marca 1998 roku. Vista do Palácio de Justiça de Tippecanoe ferrovia Estação Amtrak. Lafayette, Indiana, 10 de março de 1998. Vezi de Tippecanoe Courthouse din gara Amtrak. Lafayette, Indiana, 10 martie 1998. Вид из здания суда Типпекано железнодорожный вокзал. Лафайетт, штат Индиана, 10 марта 1998 года. Поглед на Типпецаное Цоуртхоусе од Амтрак железничке станице. Лафаиетте, Индиана, 10. март 1998. Pohľad na Tippecanoe súdnu budovu od železničného nádražia Amtrak. 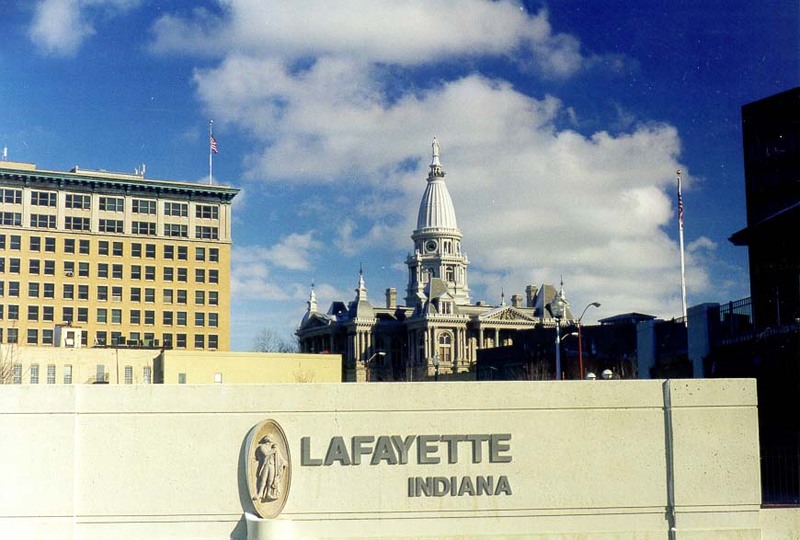 Lafayette, Indiana 10. marca 1998. Pogled na Tippecanoe Courthouse iz železnico Amtrak Station. Lafayette, Indiana, 10. marca 1998. Vista de Tippecanoe Palacio de Justicia de ferrocarril Estación de tren Amtrak. Lafayette, Indiana, 10 de marzo de 1998. Mtazamo wa Tippecanoe Courthouse kutoka Amtrak reli Station. Lafayette, Indiana, Machi 10, 1998. Vy över Tippecanoe Courthouse från Amtrak järnvägsstationen. Lafayette, Indiana den 10 mars 1998. Tippecanoe காட்சி அம்ட்ராக் இரயில் நிலையத்தில் இருந்து Courthouse. லஃபாயெட்டெ, இண்டியானா, மார்ச் 10, 1998. Tippecanoe దృష్టిలో అమ్ట్రాక్ రైల్ రోడ్ స్టేషన్ నుండి న్యాయస్థానం. లఫఎట్టే, ఇండియానా, మార్చి 10, 1998. Görünüm Tippecanoe of Amtrak demiryolu istasyonuna Adliye. Lafayette, Indiana, Mart 10, 1998. Вид з будівлі суду Тіппекано залізничний вокзал. Лафайетт, штат Індіана, 10 березня 1998 року. دیکھیے Tippecanoe کی Amtrak ریلوے سٹیشن کی طرف سے عدالت. Lafayette ، انڈیانا ، 10 مارچ 1998. Xem Tippecanoe Tòa Án từ ga xe lửa Amtrak. Lafayette, Indiana, ngày 10 tháng 3 năm 1998. Golygfa o Tippecanoe Courthouse o Railroad Amtrak Orsaf. Lafayette, Indiana, 10 Mawrth, 1998. View פון טיפּפּעקאַנאָע קאָורטהאָוסע פון אַמטראַק סטאַנציע. לאַפיעט, ינדיאַנאַ, 10 מערץ 1998.